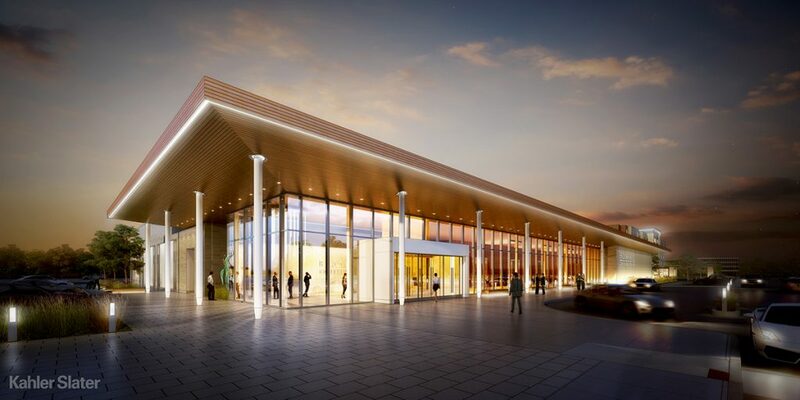 The Brookfield Conference Center is a new 48,000 SF conference center that includes an approximate 18,000 SF ballroom, a 6,000 SF junior ballroom, full-service kitchen, and other meeting functions to serve the unserved need in the region for small-to-medium sized events. The building is tentatively set to connect to an adjacent hotel on the property. The construction budget for the project is $18,000,000 and is slated to commence in 2018 and open in late 2019/early 2020.